Sidenor offers materials that are cut to length, for their direct use in customer processes. The materials are available for the entire range of steels: free cutting, carbons, alloyed, etc. and with or without any type of thermal treatment: quenched, annealed, spheroidized annealed, stress-relieved, etc. Maximum hardness: 300 HB (1000 N/mm2); Sheared, sawed and/or chamfered ends. 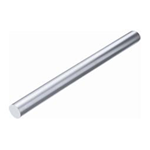 Cut-to-length bars supplied in diameters of 10 to 100 mm and lengths of 150 to 3,000 mm. Complementary facing and/or chamfering operations as well as drilling of centers for customer´s machining operation . Also shearing at 8 to 30mm diameter and lengths of 180-550 mm.